Budded and beefy! Ruby-red buds open in spring to fragrant reddish-pink flowers that quickly fade to light pink. Has attractive, lustrous foliage. 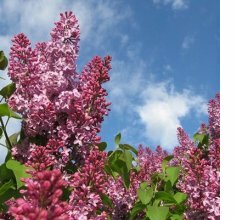 This dwarf lilac grows to 3-5’ tall and 4-6’ wide. Occasionally re-blooms in summer. Plant in full sun. Hardy to Zone 4. Limit 3 per customer while supplies last thru Thursday, April 11. Grow delicious homegrown veggies! 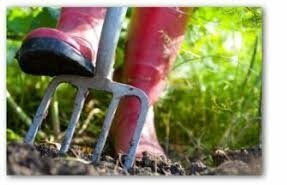 This workshop will include great techniques for starting/ improving your garden with tips for success in any size garden – from container size to homestead size. Learn about site considerations, soil improvement, planting times, easy garden maintenance, useful tools, and disease prevention. We’ll encourage whole-yard thinking because organic gardens are kid & pet friendly and Earth friendly. Q & A session. It’s easy to get growing! Free, but please pre-register at the Garden Center or call 828-645-3937. 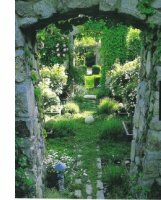 Secret Gardens tend to fascinate and intrigue people, but few people have a marvelous, walled area on their property. This workshop will help you discover your canvas of possibilities for Secret Gardens, large and small. With Denise, we will explore our garden dreams, our garden realities, and creative approaches that captivate our imagination. Join us for creative ideas, economical tips, and dream time. If you have Secret Garden photos and ideas to share, please bring them along to the class. Free, but please pre-register at the Garden Shop or call 828-645-3937. FROM WILMA: This morning I had lots of inside tasks but with birds singing and sun shining I was lured outside. In early spring I enjoy observing plants coming to life in my garden and around the property. Some of my favorites are a weeping green Japanese maple that is leafing out nicely; flowering tulips the grandchildren planted years ago; and one of my favorite natives, dog-toothed violets (Erythronium) that are budded. On nearby property is a peony my late mother planted no telling how many years ago. It is flourishing and I gave it a side dressing of compost and added a plant support stake. 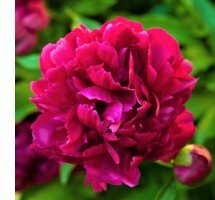 Peonies are hardy, long- lived perennials that make good cut flowers with some varieties having a heavenly fragrance. We have grown a great looking crop of them at our farm and they are available at the Garden Center. You’re Invited! Bring your basket and your family. Join us on Easter Saturday, April 20 at 9 am for an Easter Egg Hunt for all ages and a Decorated Egg Contest. There will be a toddler section for ages 2 and under, a few golden eggs with prizes, and fun for all. 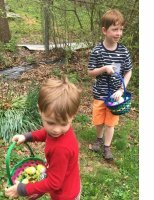 After the Easter egg hunt, we will announce the Egg Contest winners. Start dreaming up your winning egg now! Egg Contest Guidelines: Decorate one egg. Use hard boiled eggs, blown eggs, plastic eggs…or use your creativity to create an “egg“ - and add embellishments if you wish. All ages welcome to participate. Pool your ideas as a family and come up with a fun idea together. Our founder, Wilma Penland, will lead the judges and choose contest winners. The epitome of spring, bulbs are a welcome sight every single year. Forgot to plant in fall? No worries. 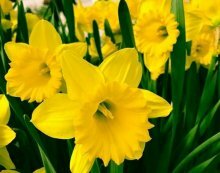 Plant these beauties now! 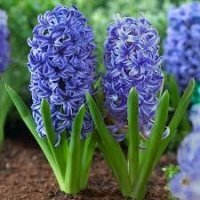 Choose from daffodils, tulips, grape hyacinths, and hyacinths. While supplies last thru Thursday, April 11. 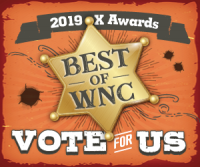 Will you please give us your vote in the Mountain Express Best of WNC 2019? We appreciate each and every one of you as a customer. We’re hoping you will take the time to vote for us in these 3 categories: 1) Garden Supply Store, 2)Nursery, and 3)Retail Store (under the Weaverville Section). Many, many thanks! Opening Day for the market was a huge success! Come out next week to show your support. 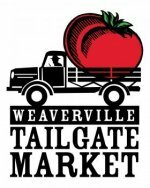 The Weaverville Tailgate Market and parking for the Market will be located in the gravel parking lot to the right of our entrance. Find out more on their website or their Facebook Page. Reems Creek Nursery is thrilled to host the Weaverville Tailgate Market while the Town of Weaverville rebuilds the Community Center at Lake Louise. Black Mountain Home cares for 36 orphaned, abandoned and abused youngsters in a loving, home-style environment. Join them for their spring open house with self-guided tours of the campus, live music, refreshments, craft demos, a chance the purchase items that benefit their Every Day Fund, and more.